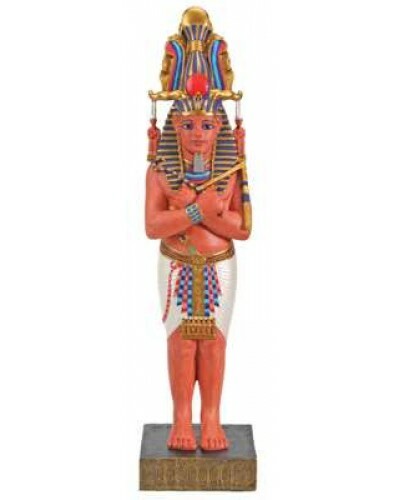 One of the most beloved of Ancient Egypt's Kings, this full color statue of Ramses III is a beautiful addition to your home or office. Ramses III was the second Egyptian Pharaoh of the Twentieth Dynasty and is considered to be the last great New Kingdom king to wield any substantial authority over Egypt. 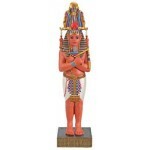 Ramses was the son of Setnakhte and Queen Tiy-Merenese. Ramesses III is believed to have reigned from March 1186 to April 1155 BC, for a reign of 31 years, 1 month and 19 days. During his long tenure in the midst of the surrounding political chaos of the Greek Dark Ages, Egypt was beset by foreign invaders (including the so-called Sea Peoples and the Libyans) and experienced the beginnings of increasing economic difficulties and internal strife which would eventually lead to the collapse of the Twentieth Dynasty. 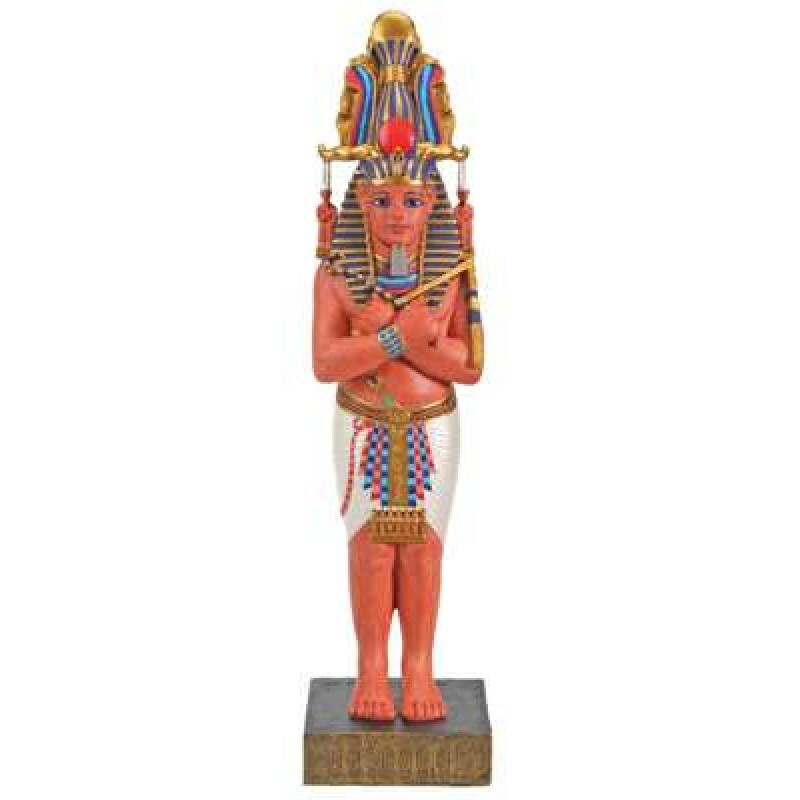 This cold cast resin statue shows Ramses in his prime holding the Crook and Flail of power and wearing the Atef crown. It measures 9 3/4 inches hgh with hand painted color. Item Number: YT-7185 | Approximate Size (Inches): 2.50 wide x 2.50 deep x 9.75 high | Approximate Shipping Weight: 2.00 lbs.